Scroll to the top and put in your referral id before scrolling back down to this section to promote. Feedback from regulars is amazing. I hope you enjoy its benefits, too, whatever way makes sense for you to use it. New feature added in this V3 release: now you can combine multiple feed sources (up to 3) for many tools - see the "Advanced options" section under "More options". Not many will need it but if you do, it's invaluable. Print out a "live" catalog for events / art fairs / car and grocery store windows, too! Note that Nifty's share-by-email is so much better than Zazzle's (which has been known to include their ref id on some links). 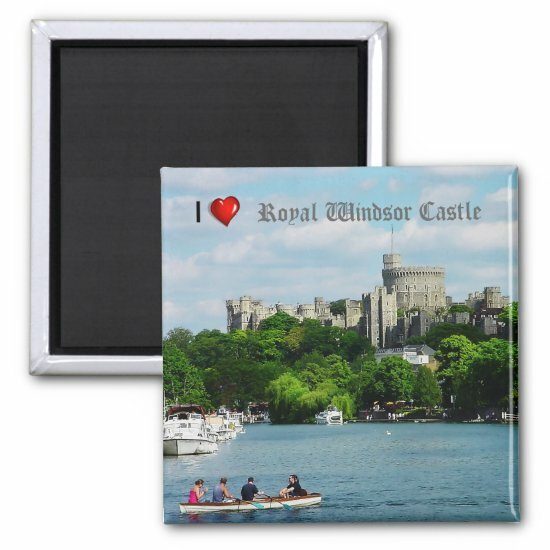 Clean design, no extra faffle, so you promote only what you want promoted, not Zazzle! Got questions? Get in touch on Nifty's Zazzle forum topic. NB The sharing buttons you see on this page are for sharing this Nifty Promo Control Panel page. 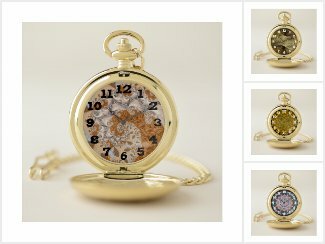 Beautiful pocket watches adorned with fun, colorful and unique fractal designs that range from bold and brassy to soft and subtle – a feast for the eyes of shapes, colors and textures. A niche collection with succulents as the theme. I've created thoughtful designs that pair well with the chosen product. I've gotten sales but would love to get some help from affiliates. All that a wedding needs, from the Save the Date to the Thank you card - plus a Bridal Shower invitation and a favor for it, a lip balm. PhotoHope’s flower mug collection has unique, bold and eye-catching photos of flowers from around the world! Designed to provide different color choices and text for baby boys or girls. The appealing color scheme provides a lively alternative to the usual solid pink and blue. 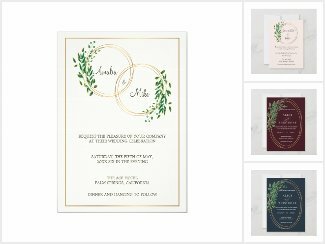 Find everything from postcards and RSVP to party supplies and favors. 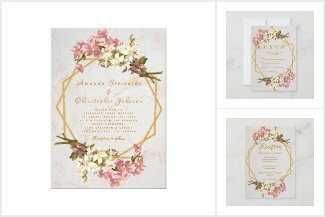 A collection of essential wedding stationery, all with template text for easy personalisation. A few design variations in this Circle of Love theme helps encourage sales. 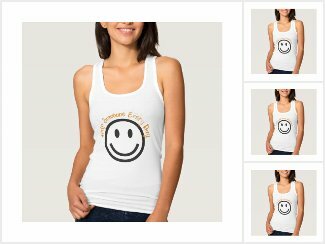 Positive Sayings on Women's Basic Tank Tops. They're designed to positively influence using unique inspirational quotes. They all use a minimalist Smile Graphic and Orange Type. Perfect for inspirational Pinterest boards! Positive Sayings and Quotes on Tote Bags. These happy totes are designed to encourage, attract and inspire with their motivational sayings and simple smile graphic. Retro pop illustration. Available in two versions, transparent and placed in a green background – like, RGB(00FF00) type of green. Both versions are super fun, super bold, super colored. Super cute tea party illustration, perfect for girls of all ages! See what products are popular in our store! Featuring our cute and funny cartoon animal designs. Bright, happy, funny and cute birthday invitations for kids and kids at heart in cartoon style. 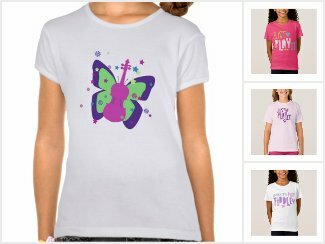 Hey Little Violin Players--let your violin light be known with cute violin t-shirts. Fun, simple designs with bright colors. Jewelry for him and for her. Cufflinks, earrings, bracelets - even pocket watches! Fractal and digital art, depicting one of my favourite subjects: mandalas! This step is all about telling Zazzle what you want to work with in your promotion session / campaign. If you leave Store Id blank, then products will be pulled from the Zazzle marketplace instead. When you want to pull from a particular collection, you'll need the collection id. It's the number at the end of the collection url. To pull from that collection, use collections/119790471480538912 in the box. That's it, you'll now have the contents of your collection to work with. Note that with collections, Zazzle ignores some of the choices you could otherwise use. See each choice's help to see if it applies. Your referral id and associate id are the same thing. One has to be provided, so until you give yours, mine will be used. This can be a single word or a group of words to make a phrase, separated with spaces. Don't use quotes or other special characters. What you give is passed to Zazzle for interpretation, so their rules apply as to what you can use here and how it works. Ignored when pulling from collections. This is here just for your convenience. What you do with it is up to you. This is used in (virtually!) all products except those using in-situ displays. Although you can use this to match the theme of wherever they're going to end up being displayed, white is still probably best (ffffff). I say "virtually", above, because one or two of the older products seem to ignore this setting and always display on a white background. This allows you to limit how many you get back when there are plenty available. 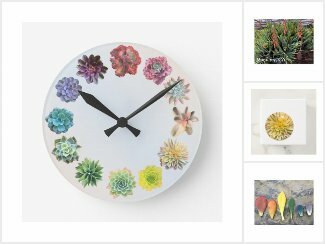 The maximum size (limit imposed by Zazzle) is 120 when you don't use a collection. When you do, Nifty limits it to 240 . According to Zazzle's terminology, the number of products you request is called the "page size". Where the number of matching products is greater than this, you can request which page number of results you want. There's a handy department number picker that Zazzle have provided. Just click the link I've given above to select the one you want. Then copy and paste. 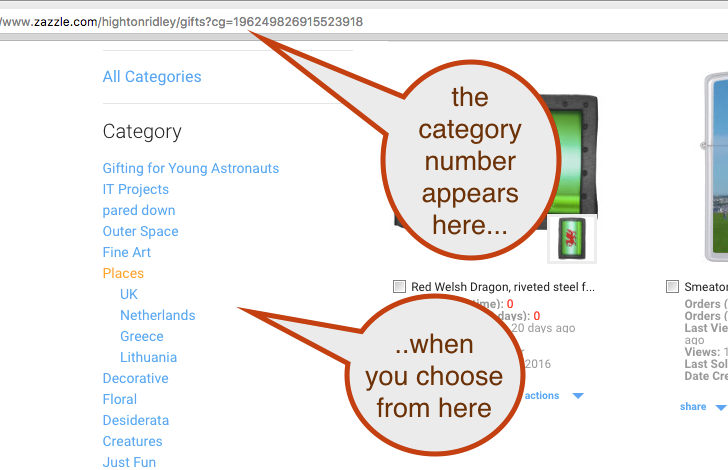 If you want to pull from one of your categories, there's no picker - so go with the diagram below. The pinning/sharing date is automatically added to the tracking code. It's in USA format (mmddyy) by default. Check the box to use the UK date format (ddmmyy) instead. The filters option works with all tools avaialble in the Nifty Promo Control Panel, with the exception of the individual product sharers. That's because, with them, it's up to you to share or not as desired. So if you want to filter the results, choose the filter terms to use and where to look. Use as many or as few as you want. You can use more than one word in each, if you need to. Click the "apply filter..." button when you're ready to see / use the filtered results. Use the settings in the other sections to set up the feed / items you want included. When you've done that, drop off its details in one of the boxes below using the provided button. Do the same for the other boxes. Use as many or as few as you like. If you change anything here, you'll see a button that lets you activate your multifeed. You'll also see it if you change any settings in the other sections. This is to allow you to see normal results until you're ready to use them in your multifeed. I'm telling you (and everyone!) that the subscription pays for itself! My referrals have skyrocketed since switching to the subscription plan. You've made a truly "nifty" thing! In Step 1 you set up the options that will be used to get products from Zazzle when you promote. Make sure you have before promoting in this section. In this version you can share slideshows of the matching products, share individual products, share a product grid page or you can generate html for your own blog / website for scrollers, sliders, product grids and slideshows. The main purpose of putting links "out there" is so that people can follow them and buy what you're promoting. If you're half serious about it, you need to know whereabout your promoting is working. And that's what tracking codes are for. You see, when someone follows one of your links with a tracking code in it, and you end up being credited for an arising sale, Zazzle will tell you what the tracking code was in the link used. I use pntrst as a tracking code when I promote on Pinterest. On Facebook, I use fb. You can use pretty much anything for your own tracking codes - letters and underscores only according to Zazzle documentation. I'm not sure what the character limit is but I've sometimes used 20 or more. 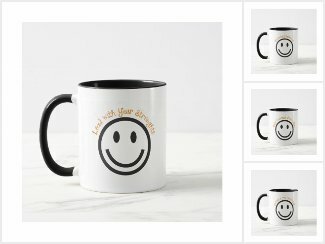 How does Zazzle tell you the tracking code in the link used when you're successful? They tell you on the line in your Referral History Report which records the sale. 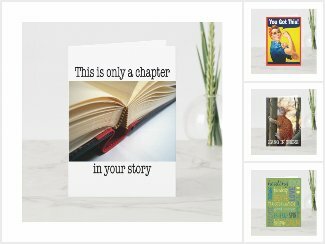 Increase your exposure: Share what you create on the Zazzle Show Me forum topic I've set up specially for it. Search engines find stuff in there! Give a tracking code for the link to your collection. To save you the bother fbk_, twtr_, zfrm_ or emlshr_ are prefixed to what you put here. Give a title/subject line to be used for Twitter and email collection sharing. When you share by email, a new window will open for details. Fill in the To and From email addresses and type in your text for the note - more on that in a moment. The subject line is pre-filled from what you give as the title/subject line, above. Whatever you type into the note box you see in the new window will be displayed above the collection images. Finally, note that I don't get to see any of this. When you choose your layout style, remember that you need to have at least that many in your collection. nIFTTTy does the scheduling and IFTTT does the sharing, down whatever channel you tell it to. Common ones are Pinterest, Facebook and Twitter. Watch a youtube video on using it. You'll be able to share when you get there by clicking the button. Follow the link relevant to where you want to promote (links open in a new window) and use the share button you'll see there. 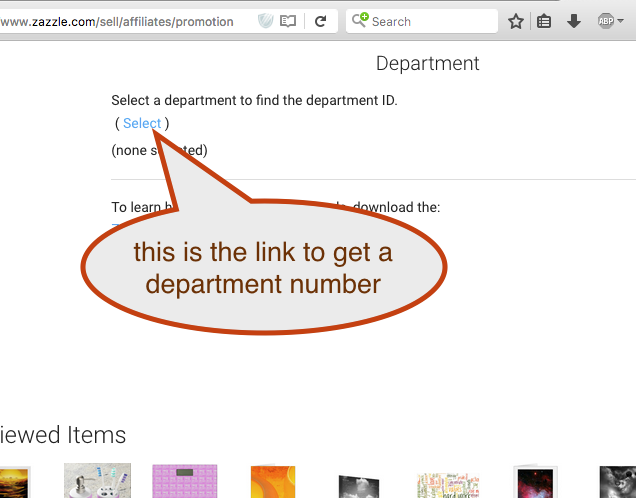 Give a tracking code for links while you're individual product sharing. To save you the bother, pntrst_, fbk_, twtr_, zfrm_ or emlshr_ are prefixed to what you put here. Click the button below and you'll be able to share your product grid page when you get there. Click the button below and you'll be able to print your live-print catalog when you get there. It's one that includes an easy way for a potential customer to get from the printed catalog to this online version. You see, on the printed version there's a QRCode link to the online version (the one you're about to print). And as you'll see, all designs are linked to their product page on Zazzle, of course. Most mobiles' inbuilt camera apps (iPhones, many Android-based ones) will automatically 'see' the link in the QRCode and offer to open it in the mobile's browser. That makes it so easy for your potential customers to actually buy. If they'd prefer, they can instead type in the short bit.ly link that's also included. So get ready to extend your reach hugely when you take one to an event / art fair or put a print in your car window, the window of a friendly grocer and so on. The product grid uses pure html. Product display options are set in the panel just above the grid at the very bottom. Note that both the product image width and the border are ignored for the slider. Paste in the text you want to create links for. Then just select the text you want to be a link and click the relevant button. Of course you'll need to have chosen the products to work with in Step1. They are used for Product Grid and Slideshow sharing as well as to populate the individual product picker. If you need different products for your next link, just redo Step1. If all you need to change is the search term, you can use the box for it here. Just type in what you want and click away from it (or press enter). After a moment you'll see the resulting products. If you're linking either to a Product Grid page or a Slideshow page, Linkify uses the options from the 'Share a product grid page' tool (title, length of description text included) or the 'Share a slideshow' tool (slideshow title). The tracking code used in all links is the one you add here, though. Uses pure html and gives you copy-and-paste html for blogs and more. First you paste in the text of the paragraph you're want linkified in the box below. then hit the button corresponding to the type of link you want added.